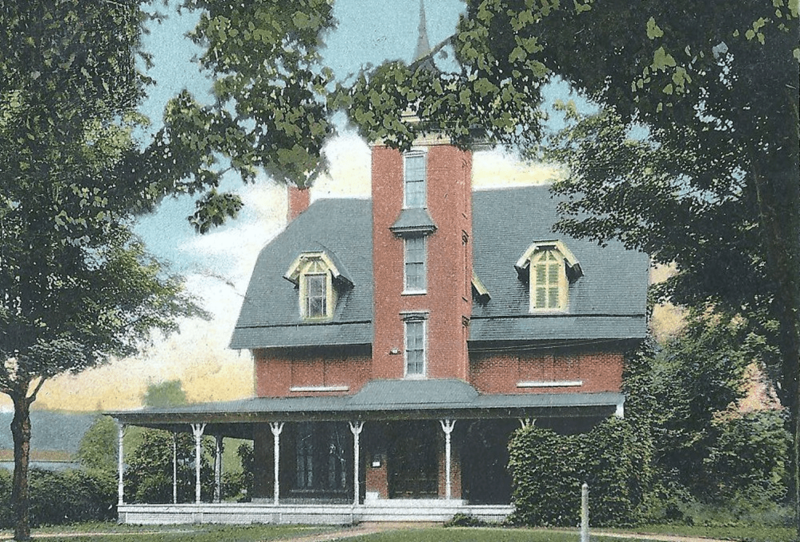 An early colored photo of the KTL with front porch. The Kirkland Town Library first opened its doors on December 11, 1901. 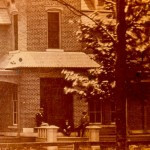 The 32 circulating books were housed in two rented rooms of the Sigma Phi Fraternity house. This nineteenth century Victorian building, built in 1871, is still the home of the library. To obtain funds to open the library, the trustees solicited members to join the Association. Two hundred and twenty-six people enrolled, each contributing one dollar annually. Library patrons or Sigma Phi Fraternity brothers? 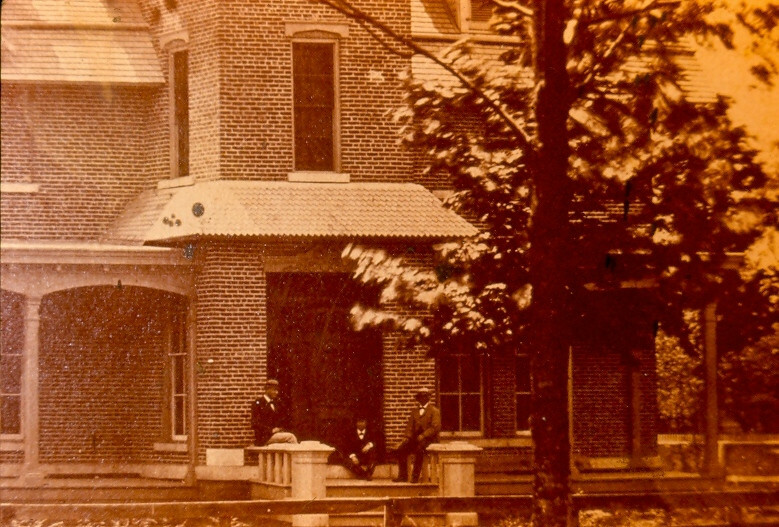 During the first year, the Sigma Phi house was put up for sale for $3,000. Elihu Root, born in Clinton and at that time Secretary of War under President McKinley, was instrumental in the purchase. In 1959, the library became a charter member of the Mid-York Library System. Public libraries in Oneida, Herkimer, and Madison County maintained their independence but agreed to work together to share resources and improve services to all residences. Today, all libraries share a common online catalog and registered users can borrow materials from any member library. The rear of the KTL before the addition. 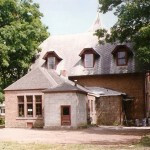 In 1960, the Kirkland Art Center was formed and moved into the upstairs rooms of the library. The KAC soon outgrew this space and in 1966 purchased its current home, the old Methodist Church on East Park Row. The Clinton Historical Society moved into the vacated rooms. This area housed their collection until 1995 when they purchased the Baptist Church on Fountain Street. 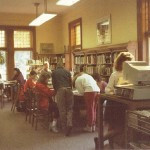 The Friends of the Library were organized in 1963 with the combined purpose of raising money for library projects and providing volunteers to meet special needs. In 1973 they raised $15,000 over a two-year period to match a foundation grant to supplement the library materials budget. 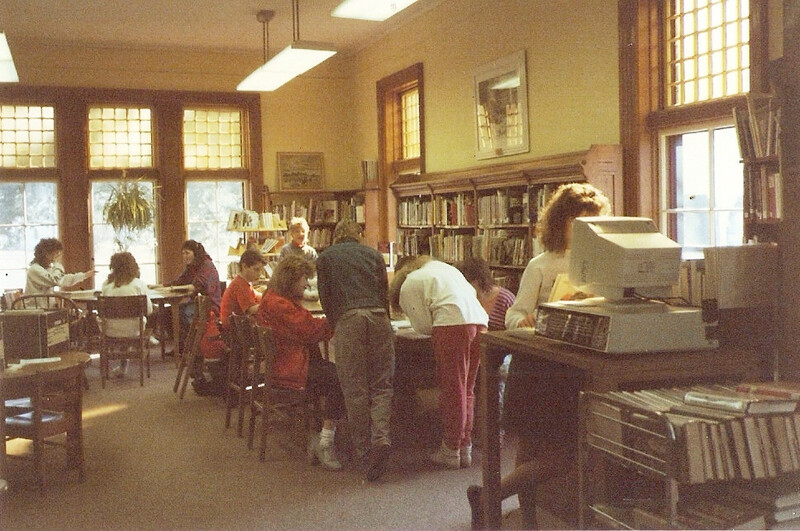 The current reading room as it was in the 1980s. 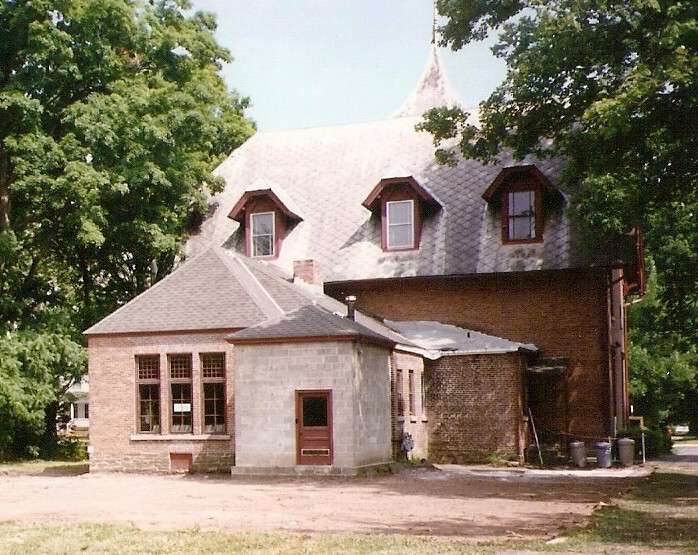 In 1995, the Board of Trustees implemented a $550,000 expansion project. Over 90% of these funds were raised within the community. An addition to the existing building added 2,000 square feet of space. Heating and lighting were updated, an elevator was installed and a parking lot was added. In 2011, there were over ­­­­91,500 visits to the library, approximately 117,000 items circulated, and over 5,100 reference questions answered. The KTL has 9 computers and provides free wifi to visitors. On 2 designated computers, Clinton students can connect directly to their school accounts. In 2013, the library had 71,552 visits, 100,657 circulated items, and 5,500 answered reference questions. The Kirkland Town Library is chartered by the state of New York to serve the residents of the Town of Kirkland. We invite you to come see what is happening at your library!